First, realize that the majority of your fraternity isn’t going to care about the IFC. It is unfortunate, but the truth. A big reason for that is most IFCs do not have dedicated leadership to make a difference. Let’s face it, nearly all IFC execs are more dedicated to their fraternity and their IFC tasks take a backseat. As a result, IFCs don’t really do much that the average fraternity brother on campus sees. However, this article is isn’t about how to make your IFC worthwhile, it is about how to use this experience to grow as a leader. To start, be the best damn secretary you can be. You made a commitment by running for that position. If you are in it just to add to your resume, then shame on you. Use your position and opportunity to make a difference. Also, use this experience to learn what other fraternities do on your campus. 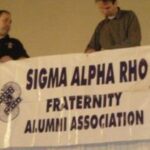 You have the opportunity to spend time with the other fraternity leaders on campus. Ask them what works for their chapters. 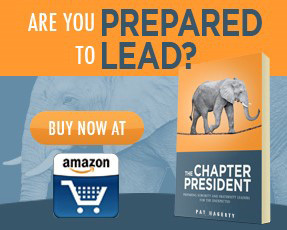 Have a plan to use the very best ideas to make your chapter better. Don’t forget that you will be making valuable contacts with the student development office. You will obviously develop a relationship with the Greek Life Director. You also will develop a relationship with the Director of Student Conduct. Both are great contacts to have for someone aspiring to become the president of their fraternity. As if you don’t have enough on your plate, you also must be an awesome brother in your fraternity. Like I said earlier, your brothers really don’t care what you do for the IFC. Unless you are a top-notch brother, then they will not elect you to the role of president. Finally, if you do those things, then you will be qualified to run for president. If you want my short answer on how to get elected, check out my article on How to Win Your Fraternity Election. The more complete answer on how to get elected is in my book – The Fraternity Leader.